First we saw #SmokedByWindowsPhone. Then we saw BlownAwayByNokia. 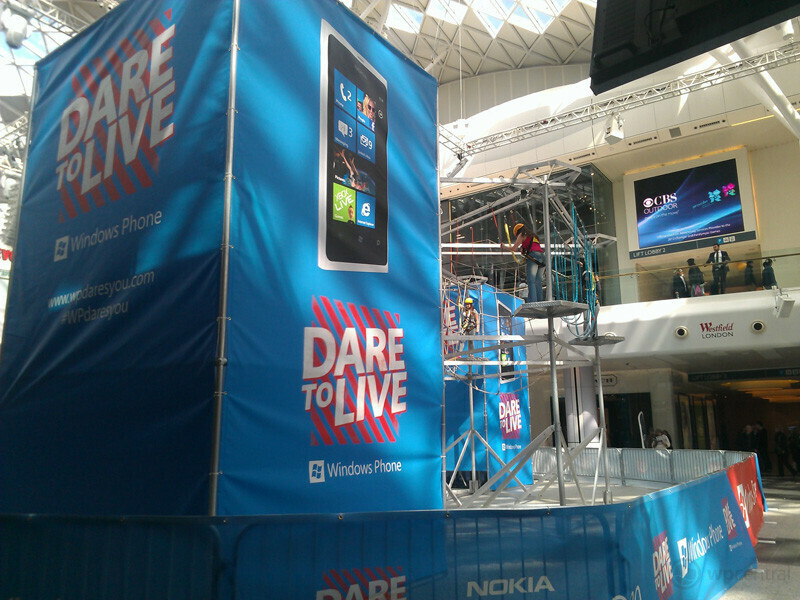 Now, Microsoft and Nokia have teamed up to bring Dare To Live Windows Phone to the streets of London. 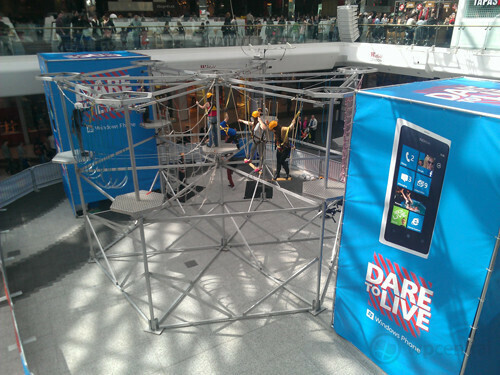 Like the other two events, Dare To Live Windows Phone involves a contest between a Windows Phone and a smartphone running a competing platform. A task is selected and the first phone to complete it wins. If the challenger beats the Windows Phone, he receives £20, which is approximately $32. 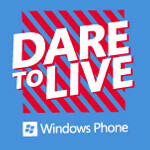 If a challenger loses, he is required to take on a dare offered up by the Windows Phone team, like tightrope walking. Besides a heaping dose of humiliation, the losers also receive a "DARED" Windows Phone shirt. FYI, the Windows Phone model used in the challenge was a white Nokia Lumia 800. If you're in the U.K. and want to participate in the challenge, check the sourcelink for the schedule. there's one thing called push/toast notification, unlike android that waste battery life and make the experience horrible. yeah remove and it'll be like android with tons of spyware, malware, lag, sluggish, limited battery issue. Before praising the windows phone battery life go and check the battery tests of the nokia lumia 800 and 710 in gsmarena I think it is enough to shut your mouth..!! I guess Microsoft got sick of giving away phones and laptops in the Smoked By WP challenge in the States. 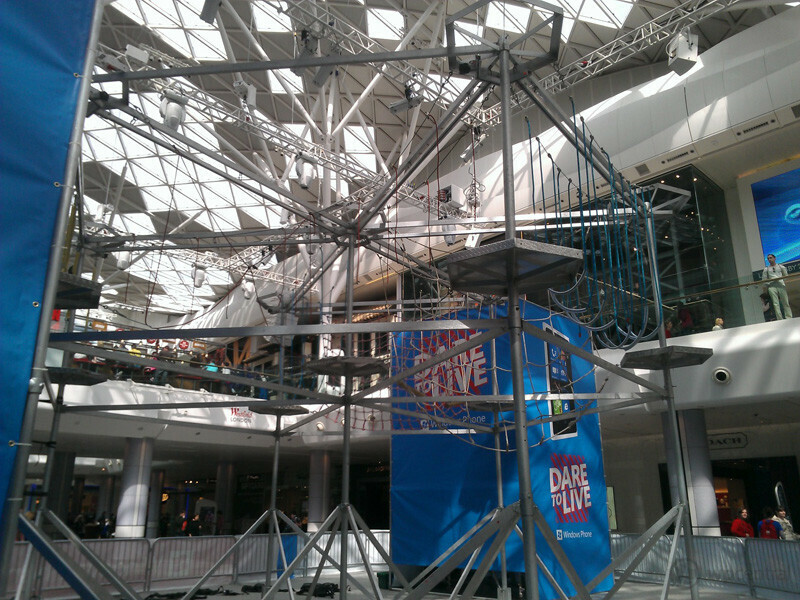 I wouldn't even bother going down there for £20.